Here suffer me to give you a bit of personal experience. When I was under the hand of the Holy Spirit, under conviction of sin, I had a clear and sharp sense of the justice of God. Sin, whatever it might be to other people, became to me an intolerable burden. It was not so much that I feared hell, but that I feared sin. I knew myself to be so horribly guilty that I remember feeling that if God did not punish me for sin He ought to do so. I felt that the Judge of all the earth ought to condemn such sin as mine. I sat on the judgment seat, and I condemned myself to perish; for I confessed that had I been God I could have done no other than send such a guilty creature as I was down to the lowest hell. All the while, I had upon my mind a deep concern for the honor of God’s name, and the integrity of His moral government. I felt that it would not satisfy my conscience if I could be forgiven unjustly. The sin I had committed must be punished. But then there was the question how God could be just, and yet justify me who had been so guilty. I asked my heart: “How can He be just and yet the justifier?” I was worried and wearied with this question; neither could I see any answer to it. Certainly, I could never have invented an answer which would have satisfied my conscience. I had heard the plan of salvation by the sacrifice of Jesus from my youth up; but I did not know any more about it in my innermost soul than if I had been born and bred a Hottentot. The light was there, but I was blind; it was of necessity that the Lord himself should make the matter plain to me. It came to me as a new revelation, as fresh as if I had never read in Scripture that Jesus was declared to be the propitiation for sins that God might be just. I believe it will have to come as a revelation to every newborn child of God whenever he sees it; I mean that glorious doctrine of the substitution of the Lord Jesus. I came to understand that salvation was possible through vicarious sacrifice; and that provision had been made in the first constitution and arrangement of things for such a substitution. I was made to see that He who is the Son of God, co-equal, and co-eternal with the Father, had of old been made the covenant Head of a chosen people that He might in that capacity suffer for them and save them. Inasmuch as our fall was not at the first a personal one, for we fell in our federal representative, the first Adam, it became possible for us to be recovered by a second representative, even by Him who has undertaken to be the covenant head of His people, so as to be their second Adam. I saw that ere I actually sinned I had fallen by my first father’s sin; and I rejoiced that therefore it became possible in point of law for me to rise by a second head and representative. The fall by Adam left a loophole of escape; another Adam can undo the ruin made by the first. When I was anxious about the possibility of a just God pardoning me, I understood and saw by faith that He who is the Son of God became man, and in His own blessed person bore my sin in His own body on the tree. I saw the chastisement of my peace was laid on Him, and that with His stripes I was healed. Dear friend, have you ever seen that? Have you ever understood how God can be just to the full, not remitting penalty nor blunting the edge of the sword, and yet can be infinitely merciful, and can justify the ungodly who turn to Him? It was because the Son of God, supremely glorious in His matchless person, undertook to vindicate the law by bearing the sentence due to me, that therefore God is able to pass by my sin. The law of God was more vindicated by the death of Christ than it would have been had all transgressors been sent to Hell. For the Son of God to suffer for sin was a more glorious establishment of the government of God, than for the whole race to suffer. Jesus has borne the death penalty on our behalf. Behold the wonder! There He hangs upon the cross! This is the greatest sight you will ever see. Son of God and Son of Man, there He hangs, bearing pains unutterable, the just for the unjust, to bring us to God. Oh, the glory of that sight! The innocent punished! The Holy One condemned! The Ever-blessed made a curse! The infinitely glorious put to a shameful death! The more I look at the sufferings of the Son of God, the more sure I am that they must meet my case. Why did He suffer, if not to turn aside the penalty from us? 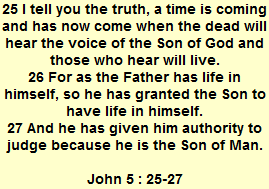 If, then, He turned it aside by His death, it is turned aside, and those who believe in Him need not fear it. It must be so, that since expiation is made, God is able to forgive without shaking the basis of His throne, or in the least degree blotting the statute book. Conscience gets a full answer to her tremendous question. The wrath of God against iniquity, whatever that may be, must be beyond all conception terrible. Well did Moses say, “Who knoweth the power of thine anger?” Yet when we hear the Lord of glory cry, “Why hast thou forsaken me?” and see Him yielding up the ghost, we feel that the justice of God has received abundant vindication by obedience so perfect and death so terrible, rendered by so divine a person. If God himself bows before His own law, what more can be done? There is more in the atonement by way of merit, than there is in all human sin by way of demerit. But he has done so. “It is finished.” God will spare the sinner because He did not spare His Son. God can pass by your transgressions because He laid those transgressions upon His only begotten Son nearly two thousand years ago. If you believe in Jesus (that is the point), then your sins were carried away by Him who was the scapegoat for His people. What is it to believe in Him? It is not merely to say, “He is God and the Saviour,” but to trust Him wholly and entirely, and take Him for all your salvation from this time forth and forever – your Lord, your Master, your all. If you will have Jesus, He has you already. 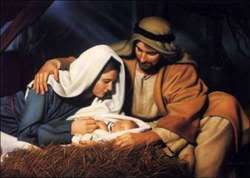 If you believe on Him, I tell you you cannot go to hell; for that were to make the sacrifice of Christ of none effect. It cannot be that a sacrifice should be accepted, and yet the soul should die for whom that sacrifice has been received. If the believing soul could be condemned, then why a sacrifice? 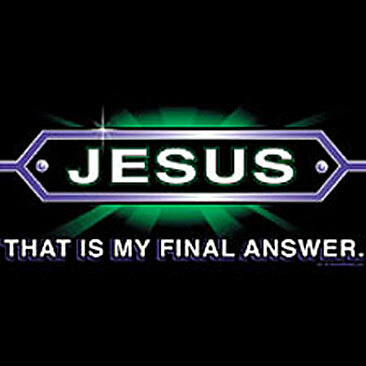 If Jesus died in my stead, why should I die also? Every believer can claim that the sacrifice was actually made for him: by faith he has laid his hands on it, and made it his own, and therefore he may rest assured that he can never perish. The Lord would not receive this offering on our behalf, and then condemn us to die. The Lord cannot read our pardon written in the blood of His own Son, and then smite us. That were impossible. Oh that you may have grace given you at once to look away to Jesus and to begin at the beginning, even at Jesus, who is the Fountain-head of mercy to guilty man! Now, poor soul! will you come into this lifeboat, just as you are? Here is safety from the wreck! Accept the sure deliverance. “I have nothing with me,” say you. You are not asked to bring anything with you. Men who escape for their lives will leave even their clothes behind. Leap for it, just as you are. I will tell you this thing about myself to encourage you. 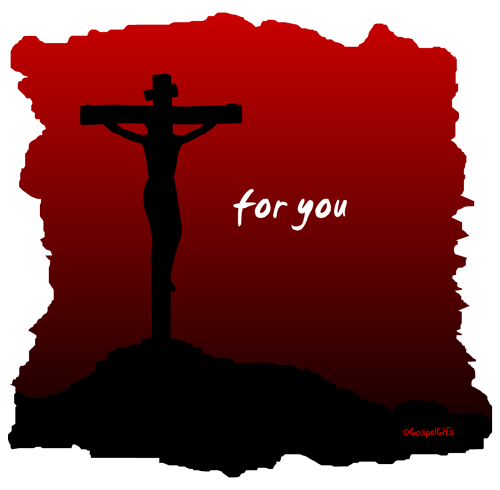 My sole hope for heaven lies in the full atonement made upon Calvary’s cross for the ungodly. On that I firmly rely. I have not the shadow of a hope anywhere else. You are in the same condition as I am; for we neither of us have anything of our own worth as a ground of trust. Let us join hands and stand together at the foot of the cross, and trust our souls once for all to Him who shed His blood for the guilty. We will be saved by one and the same Saviour. If you perish trusting Him, I must perish too. What can I do more to prove my own confidence in the gospel which I set before you?